Following in the spirit of this older post pointing out the gross and obvious chasm between how Eastern Orthodox talk up their church's unity and the actual exercise of that "unity", I pause to note the just-published article "Why the True Orthodox are Truly Orthodox" from The Holy Metropolis of the COC of America. As the first link should make clear, it's not as if this is a recent development, hot off the presses, and I just couldn't wait to crow about how the Eastern Orthodox Church's long-invulnerable armor of unity has just now been cracked. I'm writing about it because it activated my brain. Yes, it hurt. Anyway, let's consider this irony. Eastern Orthodox (like their partners on the other side of the Sola Ecclesia coin, Romanists) love to rip "Protestants" for their disunity, for fragmenting into 59 gazillion (and growing) denominations. The answers we've given to that are manifold (and not well dealt with by EOx and RCs) but what do we see here if not a break within the Eastern Orthodox Church itself? It's pretty funny how it's gone down, too. Often I have to explain to our EO and RC friends that we are biblically commanded to break fellowship with those who have fallen into heresy. They want to count towards the 59 gazillion, say, Oneness Pentecostals among the ranks of "Protestants", or liberal types who deny virtually everything supernatural in the Bible but still go to a "Presbyterian" or "Lutheran" or "Methodist" church. When we respond, "Um, no, those guys are called 'heretics' and are not Christian in any meaningful sense", they often choose to ignore the obvious and settle for the pejorative quip that, see? we even call each other non-Christians and heretics! And that's for major differences in doctrine - the Trinity, the Resurrection of Christ, the virgin birth, etc. Now, they'll say, you also break fellowship with others over minor matters, such as the music you use during worship, women pastors, who gets to head the Agape Meal Planning Committee, etc. That can be true, and sometimes it's sad and a bad thing, sometimes not so sad or bad. But lookie here - I don't guess the Eastern Orthodox have room to talk noise about that. These guys are throwing the Heretic Card for people who hold to a different calendar. In terms of pettiness, that's sandwiched riiiigggghhhhttt between the music-during-worship schism and the Meal-Planning-Committee schism. But Rhology! The Calendar is a big deal! ||Nodding skeptically|| Um, OK, if you say so. Then so's the Meal Planning Committee, yo. In our day a new heresy has appeared which seeks to bring all these together and for this reason is aptly referred to as a "pan-heresy." This is Ecumenism, which we may briefly define as the belief that sects which the Church had previously considered heretical and cut off from her are in fact in some way still part of her. The threat Ecumenism poses to the Church is perhaps greater than that of any heresy of the past, for two reasons. First, by far the larger part of the Church has succumbed to its temptation. Get that? Most of the EOC has engaged in heresy. Is that "the gates of Hades" overcoming the church (Matt 16:18)? So, since this is the church that believes the true meaning of the Bible, I presume they'll be excommunicating over half their members pretty soon? No? Hmmm. But, wouldn't just keeping those people around in the churches imply that they prefer more butts in pews feet on the floor (they don't sit at most Divine Liturgies) and more rubles in the offering plate than to be consistent and cease fellowship with heretics? Wouldn't that put them in the same position as the Sola Scripturist, who appeals to the remnant paradigm from the Old Testament people of God to rebut the challenge that believers in the slightly-later-than-early church were not Sola Scripturists or Sola Fide-ists (which we don't necessarily grant, but just for the sake of argument)? Or could it be that Matt 16:18 doesn't say what our EO and RC friends like to say it says? One thing I've learned over the years is that RCs and EOx like to make attractive and impressive claims about how their church is this and that, and how bad my church is, and it can be tempting. But just take a hard look at the alternative they're offering you, and it becomes clear it's really poison and fake. Here's the punchline - I don't see a good reason to think that a lack of unity within a certain faith group has a whole lot to do with the truth value of the system the group is proposing. In this way I am unlike our EO and RC friends, but unfortunately since neither EOC nor RCC can live up to the standard that they brag they fulfill, this makes me more intellectually honest than they. Further, since each bills itself as "The Church Christ Founded®", thus entailing some great unbroken unity, which turns out to be a product of wishful imagination, this becomes an argument against the truth of EOC and RCC because of the claims each makes. Sola Scripturist churches do not make that kind of claim; why would we think that disunity in our ranks is evidence of our beliefs' untruth? So, at best, this internal squabbling and tossing around of "Heretic"s shows that EOC and RCC are false churches. At minimum, it destroys a very common argument that EOx and RCs use against Sola Scripturists. ... we are biblically commanded to break fellowship with those who have fallen into heresy. Does this mean we can never be friends? 1) people who are sensitive over the most unimportant matters are far less likely to fall into greater errors. 2) since the Old Calendar Church began its existence at the very same time that the New Calendar was accepted by their respective mother-churches (Greece & Romania) they actually have historical continuity. They didn't just appear out of the blue hundreds of years after the fact, claiming invisible, untraceable continuity. 3) Ecumenism does not keep butts in Orthodox churches. (the two issues are completely unrelated). Do you honestly think that if Reformed Baptists would've been Lutherans on a different calendar we would even have this conversation in the first place? So let me get this straight: You put up a quote from a schismatic group: the so-called Genuine Orthodox Church, who complains about a supposed problem in the canonical and recognised churches in communion with the 5 patriarchates, and then you gloat about it? Yup, there is a reason those folks are in schism. They've elevated the calendar issue to a level of importance to which it doesn't belong, and they've deliberately put themselves outside the church. Nobody put them out of the church for holding old calendar. They chose to go out. And I should be worried about this because of what? 2) I found this article b/c an OCA priest, and an acquaintance from the orthodoxchristianity.net days (he's one of the moderators there), who's a friend of David Bryan of ohtasteandsee.blogspot.com posted it on his Facebook page and claimed it as "our response". YOU'VE got the problem here. then you gloat about it? As I made clear, I wouldn't gloat about it unless y'all EOx had made so many arguments that your church is better b/c of all its "unity". Now we see that unity is false, and I gloat b/c y'all are hypocrites. Stop making that claim and using that argument, and I won't gloat. Said the anonymous layman. Give me a reason to believe you and not all these clergymen. they've deliberately put themselves outside the church. Actually, they claim that the Ecumenists are the ones propagating the heresy. Oh, woe is you! Whom am I to believe, and why? I doubt you ever knew very much about Christianity to begin with, so I simply consider you a never-very-converted heathen, as opposed to someone who knew what they were getting out of. So yes, we can be friends! Already done. No one is to take communion from them in all other Orthodox churches (read: 99% of American Orthodox are barred from their chalice, and this schismatic group from theirs. So, done. Look again. He's not OCA (my jurisdiction) but GOC (not COC, like you said; get your acronyms right), the very schismatic group in question. John hit it right on the nose: You have taken some posts of a reactionary, fringe group, which you found on FB posted by one of their (extremely few) priests, who've taken this extremely minor issue (you're right about that, at least) and gone into schism because of it, calling 99.99% of the world's Orthodox "graceless heretics" because of it...and used them to try to make a case that the GOC extreme minority line is that of a major US jurisdiction (OCA). Either show how your view as stated is in fact correct--and how I am in error regarding this--or retract your position. So, really, "YOU'VE got the problem here." True to form, you post a thought-provoking comment, David B. First let me apologise for making the apparently-incorrect assumption that the priest in question was OCA. Sorry about that. Second, let me apologise for misreading the stylised lettering on the GOC's website. It looked like COC to me when I wrote this, but now that I look again, I see the G.
Third, I need to ask some clarifying questions so as to minimise the risk that I'll make another factual error, if you don't mind. 1) I did not understand the antecedent behind "He's not OCA (my jurisdiction) but GOC (not COC, like you said; get your acronyms right)". Did you mean that the priest is GOC? 2) You state they've been excomm'd. May I ask when, by whom, and how you know that's an authoritative church statement? 3) To what extent were you aware of his leanings when you were a (partial-)moderator on the orthodoxchristianity.net site? Are you still active there? If not, was it at least partly b/c of his schismatic state? If so, on what basis is it OK for you to say that he is barred from your church's chalice but that it's OK for you to stand side by side on such a website? Please understand, I'm not trying to stall and I'm not trying to sidestep the questions. I've been thinking about it for a few days now, actually, but I just want to make sure I get a few details correct. Let me foreshadow it, though - this is not "my position" at all; it's a rebuttal of a challenge that many EOx and RCs seem to think is a killer for the Sola Scripturist position. Has very little to do with my positive statement of my position. 1) Yes, the priest in question is a member of the GOC schismatic group (they, of course, claim that we are the schismatics for implementing the Gregorian calendar). 2) "By whom?" is best answered "By themselves." On May 26, 1935, the first bishops to stand against the Revised Julian Calendar (the Greeks, (though there are factions in Romania, Bulgaria and others, tragically--SOURCE, where you can see the obvious and tragic fruit of splitting over the calendar--the splitters have been split from time after time) stated that Revised Julian adherents have "cut themselves off completely from the trunk of Orthodoxy, and have declared themselves to be in essence schismatics in relation to the Orthodox Churches" (SOURCE, search p. 93 in the search box). This has been the Old Calendarist position, in any and all of their groups, since that time. Obviously, then, we will not pretend that there is eucharistic unity with those who want none of it with us. 3) I still post at OC.net, though nowhere near as often as I used to. The priest in question was, when I joined, an Eastern-rite Catholic who was in the process of converting to Orthodoxy. Since his move to a schismatic church, I obviously do not share communion with the man, but my time there as a moderator (which ceased in that capacity due to an increase in family size and the accompanying responsibility!) did not seem contradictory with either of our convictions, as the priest in question is simply in charge of content development; the priest in charge of the discussion forum is a GOA (Revised Julian Greek) priest with the handle FrChris. The forum is not meant to advance one agenda over another but has, since its inception, been a place where anyone and everyone, regardless of theological position, can ask questions, discuss, and debate. He has never tried to push his agenda or proselytize, and in fact he has stated that such behavior by anyone on the forum will be grounds for discipline. But anyway. It's an interesting topic, unity. I suppose I would say that the main reason I see the calendar as NOT part of tradition and NOT reason for schism is that it was simply the civil (and pagan!) calendar of Julian's day, adopted by the Christians of the time b/c of its accessibility to most folks. It was not the subject of, nor was it even mentioned in (iirc) any of the seven Ecumenical Councils. To call this "tradition" on the level of christological heresy is a stretch at best, and an insult to Christ and His question at worst. I know this is old but here are some thoughts which i hope are by the grace of God. Unity by itself is not the goal of the Godly, but unity that is the spirit is. The type and means of unity determines its virtue. 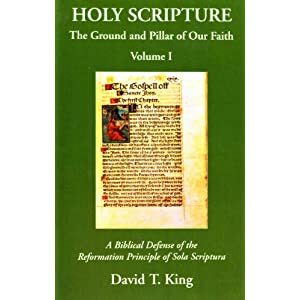 The greatest unity is typically found among groups in which unity is based upon unwarranted implicit trust in a self-proclaimed authority, which effectively presumes doctrinal supremacy over the Scriptures. And by inculcating seeing themselves as an exclusive, supreme particular organization. And the more this is inculcated and required, the greater that type of unity. Thus the Watchtower society and Rome manifest greater doctrinal and cohesive unity than that of individual Protestant groups (whose identity directly in Christ, versus as part of an institution, allows them to move around more), although as regards doctrinal unity among individual Catholics, evidence shows that Rome fails to manifest more unity in key truths and moral values than evangelicals as a whole. But it demonstrates a greater quantitative unity based upon its doctrinal position that it is the one true church, even if, unlike the Watchtower Society, its members may somewhat disagree among things that are not are infallibly defined, while disagreement as regards the latter is greatly tolerated. However, what we see in the New Testament church is not a unity based upon unwarranted implicit trust in an formulaic assuredly infallible magisterium, but which was the result of souls being persuaded by "manifestation of the truth" (2Cor. 4:2), in which the authority of the apostles and their message was established as being from God by conformity to men and writings which had previously been established as being from God, and by Scriptural Divine attestation. Rome critically fails in both, as its primary claim and certain of its key teachings fail of Scriptural warrant, and are contrary to it. And it overall fails to manifest that it is the church of the living God. And instead such teachings and her primary claim to be the one true church are effectively are based upon her own self-proclaimed supremacy over the Scriptures. Complete comprehensive unity has ever a goal of the church, though unity of heart and mind in surrender to Christ to do His will as revealed was realized at certain times, and is today among some took a strong degree and yet can be. And in the days to come it is only as the church has this heart and is in conformity to the Scriptures, including its preaching the Gospel which results in manifestly supernaturally transformed lives and other acts of grace, will it be manifest as being the church of the living God, and withstand the onslaught of those who are gathered together against the Lord and His anointed. (Acts 4:26; cf. Ps. 2:2; 83:3-5) Whose quantitative unity manifests that unity in error is inferior to division because of truth, (1Cor. l1:19) and the unity that results from it. To God be the glory.